Spirituality often evokes images of quiet centeredness, meditative serenity and freedom from life’s pressures. It’s become a chic commodity, with its benefits evoked by images of sunrises and secluded retreats. As he explores this ancient spiritual path, Rodney Reeves probes our understanding of what Christian spirituality should be. And to illuminate its transformative power, he gives us living illustrations of what it means to follow Paul as he followed Christ. 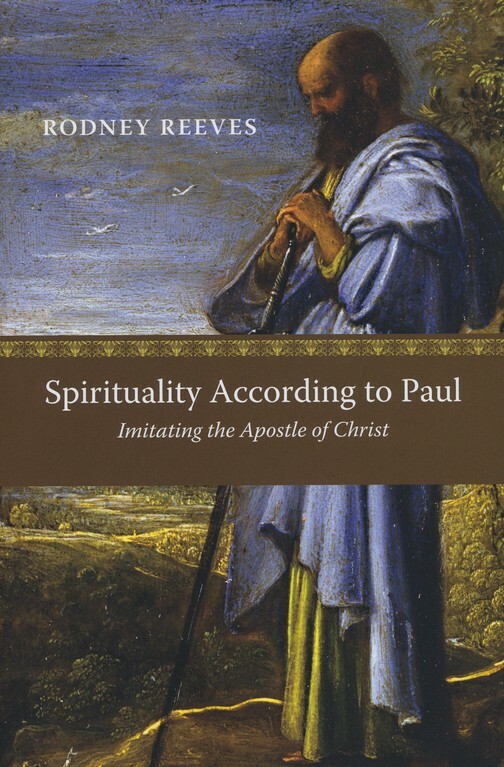 Here is a book that joins a deep understanding of Paul with a pastoral and spiritual wisdom born of experience. Post a recommendation with link to Incarnatio (or to your favorite Incarnatio post) on your blog, Facebook, Google+, Twitter, or other social media platform. Posting a link to multiple social media sites and mentioning this book giveaway will only increase your chances of winning. And subscribing in the sidebar to the right to receive Incarnatio by email will boost your chances also. Leave a comment on this post indicating on which sites you recommended Incarnatio and whether you subscribed to receive posts via email. Include a link to your posts (remember to make them public) so they can be verified. On Facebook, click on the time stamp of your post for to get the link. On Twitter, expand your post and click on “details”. I will (subjectively) judge the winner taking into account the creativity and quality of your recommendation. I’ll announce the winner next Monday and message him or her on Facebook or Twitter (a good reason to include links to your recommendations) to request your mailing address, and then I’ll drop the book in the mail. The contest is limited to the lower 48 United States to keep postage down, but feel free to recommend Incarnatio even if you live elsewhere. Here's the announcement for the winner of Spirituality According to Paul. In order to be fair, I decided to put the names of everyone who posted on FB, Twitter, etc. in a cup and asked my administrative assistant to draw one out. So, get ready. Here it comes. Thanks to everyone who participated and helped get the word out about Incanatio. Keep your eyes out for another giveaway before too long. Thanks for reading this blog. Posted on Facebook. Thanks for doing this! I subscribed to the email list. I'll even email a link to Chris Rosebrough at Pirate Christian if I get a copy of the book. I liked your facebook page and shared your contest announcement. I am not much of a twitter guy, but I hope you get some traffic from my facebook posts! Be blessed! I liked your blog on Facebook, retweeted your promotion, and added you tp my RSS Google Reader feed. i face booked this. i retweeted your tweet about the give away. I subscribed to your blog. I liked your fb page. and i may stand on my head.